Liverpool's respect for Arsenal will not diminish the fearlessness they take into every game, insists goalkeeper Alisson Becker. The Reds are tasked with ending the Gunners’ 13-match unbeaten run when the sides meet in the Premier League at Emirates Stadium on Saturday evening. In two previous high-profile away trips this term, Jürgen Klopp’s side gained a 2-1 victory over Tottenham Hotspur at Wembley and dramatically rescued a point against Chelsea. 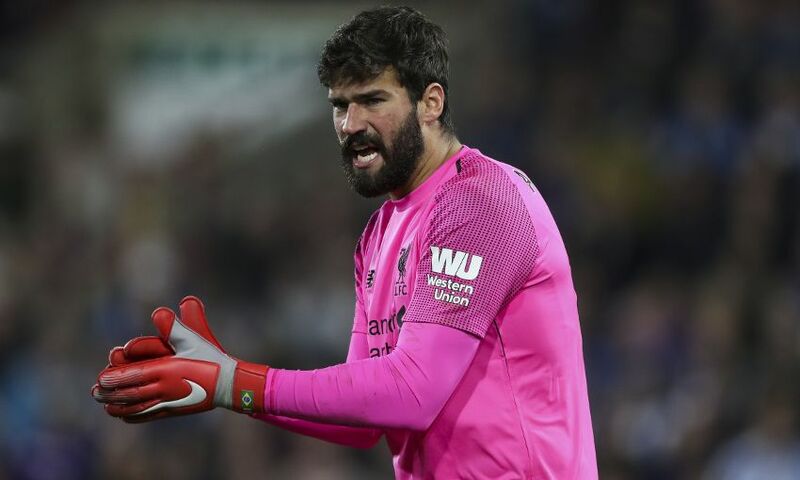 Those results fed into Liverpool’s already strong belief, according to Alisson, who considers fixtures such as these to provide a litmus test for a team’s credentials. “It’s definitely going to be a great game and we shouldn’t fear anybody,” the Brazil international told Liverpoolfc.com before the trip to north London. “We’re confident in our quality. We appreciate the quality of the opposition but we can’t show any fear on the pitch, we need to be brave, we need to do our best to play our best football and play the way Klopp wants us to on the pitch. It’ll definitely be a great contest. Unai Emery was appointed Arsenal manager in the summer as the north London club began a new chapter following the long and successful reign of Arsene Wenger. Back-to-back defeats by Manchester City and Chelsea made for an inauspicious start to their campaign but they have not lost in any of the 13 games played in all competitions since. Having joined a new club in a different country himself ahead of 2018-19, Alisson understands the transitional process Emery faced when he took charge of the Gunners. “He’s a big name in football – he achieved great things at Sevilla. He is a great manager in world football and he took charge of a great club with a lot of quality,” said the No.13. “I don’t think [their form] comes as a surprise but I believe they’ll find our team very hard work on Saturday. Likewise, we’ll have our work cut out as well. There’ll be a lot of work for both defences in this match. “It’ll definitely be an intense game. I also believe it’ll be a game of very high technical quality, two teams playing really well. Emery has a variety of options to choose from and combine in attack, so how will Alisson prepare for the possibilities he could face at the Emirates? “I’m not going to tell you my secrets!” he replied. “I watch certain things and I’m very focused on what I can do on the pitch rather than what the opposition can do.